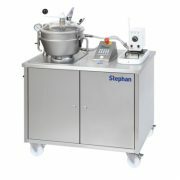 The STEPHAN Microcut Machines are compact and easy to use. The unique Microcut principle allows fine cutting and emulsifying processes in one machine. 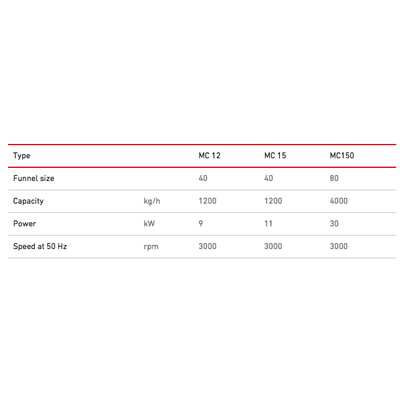 Microcut MC machines with one cutting set are for small and medium size applications and require very little space in the factory. 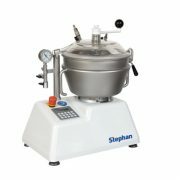 The STEPHAN Microcut Machines are compact and easy to use. The unique Microcut principle allows fine cutting and emulsifying processes in one machine. Microcut MC machines with one cutting set are for small and medium size applications and require very little space in the factory. They handle almost all the tasks involved in the production of meat masses for sausage production, fine pate, puree and similar fine and smooth products in the meat and convenience industry. 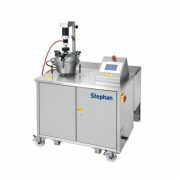 The STEPHAN Microcut Machines all share one important characteristic: versatility! It’s only one step to get a smooth and fine product. 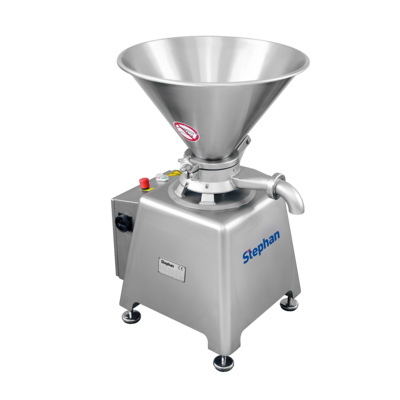 Give the product into the hopper and press the start button. The product runs itself through the cutting system, becomes fine cut, emulsified and discharged automatically in a continuous process. Nothing to control, nothing to adjust, really easy!